Khalid’s meteoric rise to the height of the music industry is nothing short of impressive. As one of a slew of artists to use Soundcloud to jump-start their careers, the 21-year-old has released various chart-topping singles, such as “Location” and “Young Dumb & Broke,” as well as what is now two studio albums. His latest album, “Free Spirit,” provides yet another batch of soulful tracks filled with the artist’s signature low vocals. Those looking for Khalid to evolve his sound, however, will be sorely disappointed. At 17 tracks, “Free Spirit” is Khalid’s longest album to date. The lack of variation between tracks makes this frustratingly apparent. The opening number, “Intro,” sets the stage for a mellow vibe. The way Khalid’s voice drags and extends vowels on the song is captivating when paired with the synth rhythms in the background. As a single track, “Intro” works spectacularly well. However, as you work your way through the rest of the album, the hypnotic and ethereal vocals laid on earlier tracks start to feel stale. In spite of interesting beats and accompanying rhythms, Khalid opts to give each track the same moody vocals. Regardless of some slight differences in composition, every song feels interchangeable. While making my way through “Free Spirit,” I couldn’t help but think about the recent endeavours of rapper, producer and all around provocateur Kanye West. Over the course of summer 2018, West produced a whopping five albums for various members of his label, G.O.O.D Music. Leading up to their release, a number of fans questioned West’s decision to keep each project at a maximum of eight tracks, fearing that the albums would feel too short. However, upon release many of West’s devoted fans, myself included, found themselves fully satisfied by the concision of those new projects. The album would have definitely benefited from following West’s mold. Hidden near the backend of the album, tucked between the monotony of the previous few tracks, Khalid finally breaks with the album’s moodier moments. Tracks like “Hundred” continue to present interesting beats, but here Khalid makes an effort to move away from his drawn out vocals. The result is what can best be described as a punchier song. Thankfully, “Hundred” isn’t a one-off. The next three tracks, including the titular “Free Spirit,” continue to pair punchy vocals and strong beats. These tracks also tend to use considerably less autotune, which also helps keep Khalid’s vocals feeling fresh. Although it comes later in the album, it’s clear that Khalid does present his listeners with some sense of his versatility. 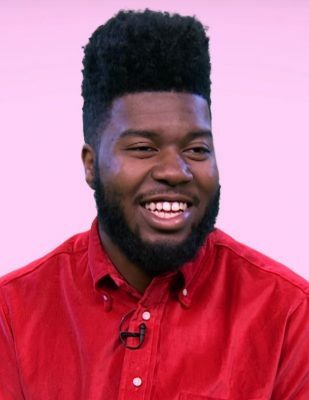 A standout track that successfully balances Khalid’s more powerful songs and signature mellow sound is the album’s 12th track, “Twenty One.” Admittedly angsty lyrics are paired with an upbeat rhythm devoid of any drums, and Khalid perfectly balances his two vocal styles between a crooning chorus and fast-paced verses. It should be noted that not a single one of the tracks off of “Free Spirit” are necessarily bad. All 17 have interesting and unique rhythms. However, Khalid’s lack of vocal experimentation squanders some truly promising beats. Khalid delivers some refreshing tracks when matching these beats with punchier vocals, but they’re ultimately buried under layers of monotony. Keeping the album under eight tracks, a la Kanye West, would’ve highlighted Khalid’s growth as an artist. However, as it stands, “Free Spirit” presents Khalid as a young artist too caught up in his own niche.